GORGEOUS Bradshaw model with jaw dropping location nestled at the base of Calderwood Butte will take your breath away. 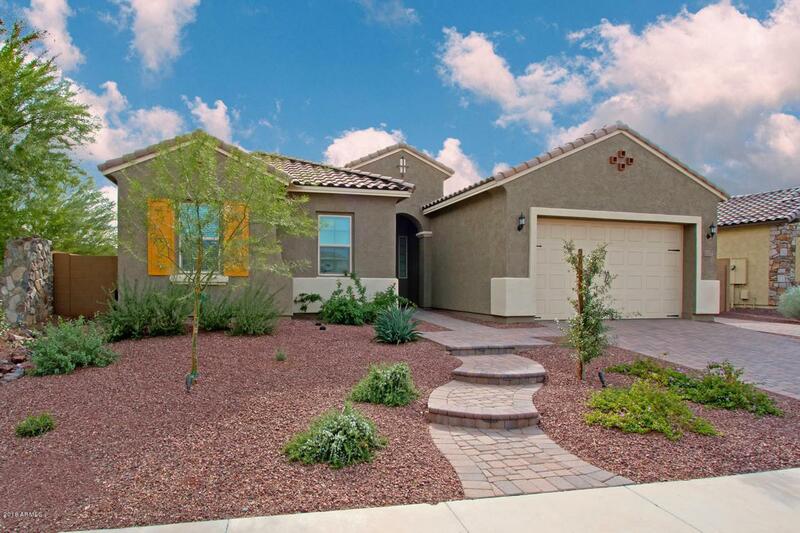 The curb appeal on this perfectly appointed home will certainly have you at hello, from the wrought iron entry door to the paver driveway and walk path, every turn will delight! 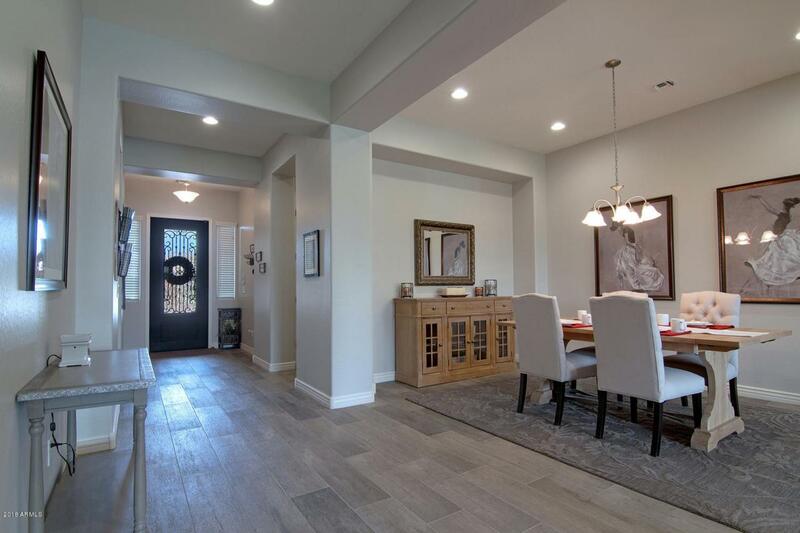 Highly sought after single level home showcases designer touches including stunning barnwood tile flooring, custom baseboards, premium upgraded cabinets in soft gray, brushed nickel hardware and crowned with white quartz counter tops. The gourmet kitchen package includes stainless steel built-in double ovens, dishwasher, microwave and gas range. 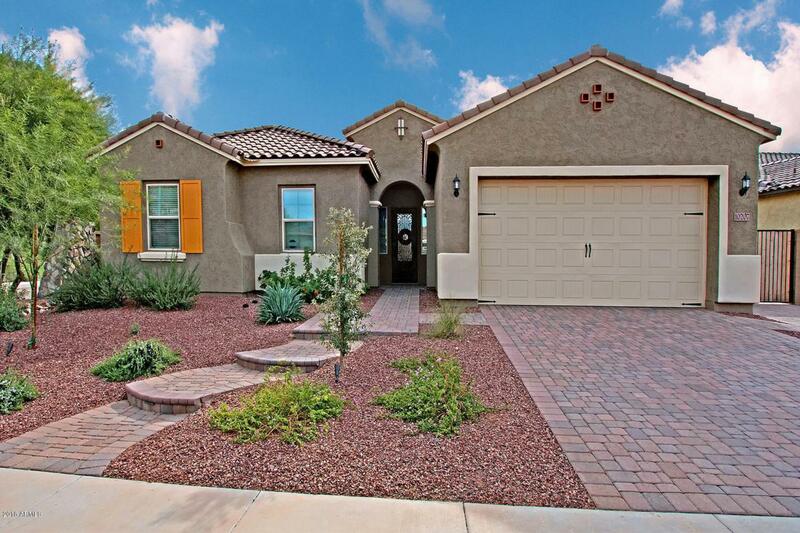 4-car tandem garage, RV Gate with private driveway, extended patio, plush green turf and VIEWS, VIEWS, VIEWS! Close to 303, and future Peoria Park #3!